If you’re anything like me, the idea of putting beta software on the phone you rely on every day is, quite frankly, terrifying. I want to see every new iOS feature in action, but I’d rather use an older device as my sacrificial lamb for the beta gods (or…something along those lines). So I put the iOS 10 public beta on an iPad Air. I’ve been using the developer beta on an iPad Pro, so I knew there would be some differences. The first iPad Air lacks Touch ID, so I anticipated that the home button changes would be annoying, and they are. The iPad Air also doesn’t support Split View, a key iPad productivity feature introduced first in iOS 9, so iPad Air owners will miss out on some of the iPad-specific iOS 10 features like Split View for Safari tabs. But older iPads and iPhones will still get a chunk of the good stuff, so if you want to experiment with iOS 10, starting with a secondary device is perhaps the smartest idea. 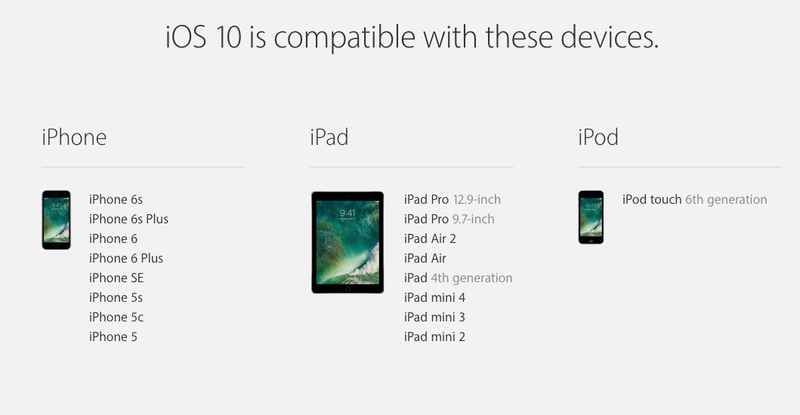 A friendly reminder that iOS 10 doesn’t support the iPhone 4s, second- and third-gen iPads, the original iPad mini, or the fifth-generation iPod touch, so if you own one of those devices, you’re out of luck. Before you even attempt to put iOS 10 on your old device, back up everything. Twice. I don’t have nearly as many apps or photos on my iPad as I do on my phone, but losing what little I do have would be a pain. Save a backup to both iCloud and iTunes, plus archive the iTunes backup (as per Apple’s recommendation). If things go south after the install, you’ll at least feel comfortable in the knowledge that you can return to iOS 9.3 and your data will be safe and sound. Actually installing the beta on your device is a cinch—just follow Macworld’s iOS 10 beta installation guide. It took no time at all, and I was back up and running in less than 10 minutes. The most evident changes in iOS 10 at first glance are the redesigned lock screen with rich notifications and new swiping shortcut to access the camera (swipe left instead of up). Then there are all the changes in Messages: stickers upon stickers, huge emoji, text-to-emoji replacement, handwriting support on photos and videos, full-screen effects, and tapbacks. That’s a lot to experiment with, and if your friends are using the iOS 10 public beta, they’ll see all of these effects, too. If you put the beta on an old iPad like I did, you’ll be able to use that device is a Home hub by going to Settings > Home and toggling on the “Use this iPad as a Home hub” option. That lets the iPad act as a bridge between your HomeKit devices and your iPhone when you’re away from your home network, instead of relying on an Apple TV to do the same. But it requires you leave the iPad plugged in. Turn your old iPad into a home hub with iOS 10. You can also spend a lot of time in the redesigned Music and News apps, which are both optimized for the iPad with giant photos and new navigation bars. The News and Music apps in iOS 10 work perfectly on my first-gen iPad Air. The Photos app also has some features worth checking out on an older device, like photo recognition for easier searching and a new Memories tab that creates photo collections by scanning your Camera Roll for photos and videos taken at a similar place and time. And while you can’t shoot Live Photos with older devices—that feature is limited to the iPhone 6s, 6s Plus, SE, and the iPad Pro—you can edit them in iOS 10. In iOS 9, editing a Live Photo turned it into a static image. On an iPad Air running the iOS 10 public beta, I was able to crop a Live Photo that Macworld Executive Editor Susie Ochs sent me, and it remained a Live Photo after the crop. I haven’t had any major issues using the iOS 10 public beta on the first-gen iPad Air. The beta hasn’t crashed my device, or even slowed it down. There’s no unusual battery drain, either. My iPad is just as functional as it ever was, but now it has some new features that I plan to experiment with on my iPhone—as soon as I work up the nerve to install the beta on that.